My name is Gabe Rivera. 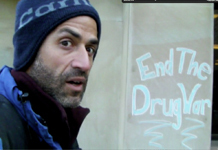 I have been working to 'End the Drug War' Since 2002.
towards 'ending the drug war'. and then I came back out fighting. that happened in the meantime. Ideally this website will do a better job.